Arthouse Anastasia Unicorn Pink Glitter Wallpaper is a great way to add a magical touch to any room. 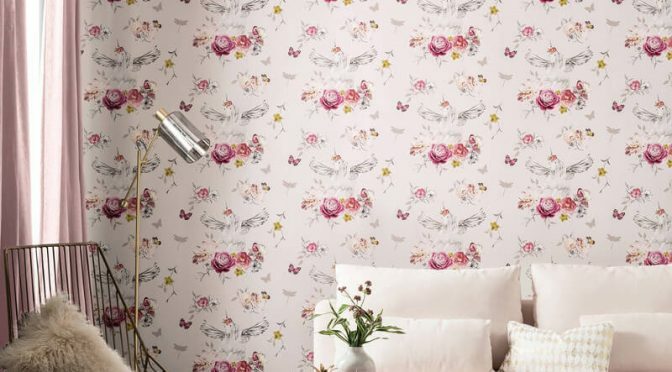 Firstly, this eye-catching wallpaper is part of the stunning Fantasia Wallpaper Collection. It is designed to add style to your home. Furthermore, inspired by the mysterious unicorn, it combines this iconic creature with a feminine floral print for a great look. The timeless pink colour scheme is complete with glitter gel for a sparkling finish. Finally, the Arthouse Unicorn Pink Glitter Wallpaper is a great way to update a girls bedroom. Add pink accessories to complete the look.